There are some things that you have to buy. The good news is, you can buy the same products at the dollar store and pay less money for them. Here are the top 4 items that you should be paying less for! 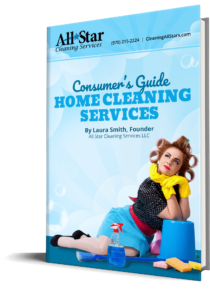 Buying products to clean your home doesn’t have to clean out your wallet. The exact same brands that are available at major retailers are also at the dollar store. While I can’t vouch for the dollar store brands, I am always a fan of saving money on the brands that I already buy. Just like cleaning products, you can also find all of the nifty tools to clean your home: sponges, scrub brushes, scouring pads, and even microfiber cloths. They also carry rubber dishwashing gloves, spray bottles, and even cleaning caddy’s to store everything inside. My absolute favorite aisle at the dollar store is the storage aisle. Hands down. They have a plethora of bins and baskets of every color to make organizing a cinch. I’ve bought small baskets for the shelves of my desk, fabric bins for organizing my pantry, plastic boxes for organizing Barbie’s countless outfits and accessories in my daughter’s room, and even a few color-coded boxes for my husband’s tool bench. What’s your favorite item to buy at the dollar store?